Looking E at (composite image of) Newmarket Cottage; click for enlarged view. It certainly was a busy week since the last blog post. Extra hours during the week were spent getting the site looking at its best for our successful weekend of guided tours. Both the nineteenth century kitchen and the scullery had all of their covering vegetation removed, along with much of their topsoil cover and some demolition fill. All internal and external wall lines for the cottage, and associated structures were also nicely cleaned up. As expected, few finds were excavated as the majority of all the floors have been lost inside the cottage. Site access was also worked on, including cutting a ramp through topsoil, and demolition fill layers, down to the original ground surface of the front garden gateway to provide easier access into the cottage site. Safety tapes were set out to protect both visitors, fragile archaeology, and our precious survey posts. 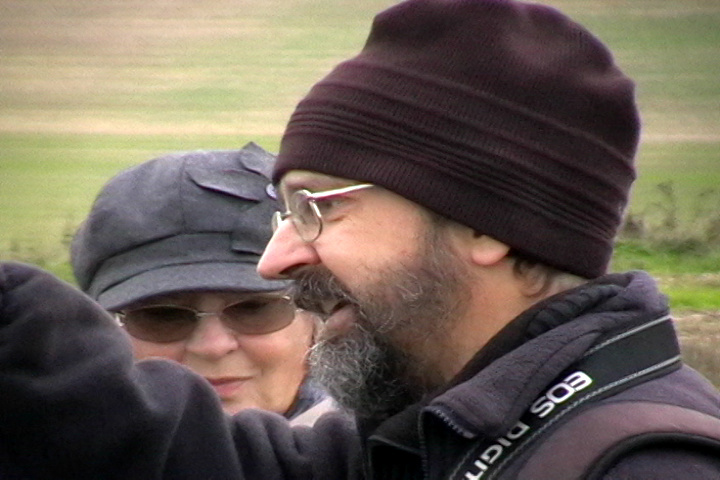 Myself and my mother, Peggy, on guided tour, 2/11/13. 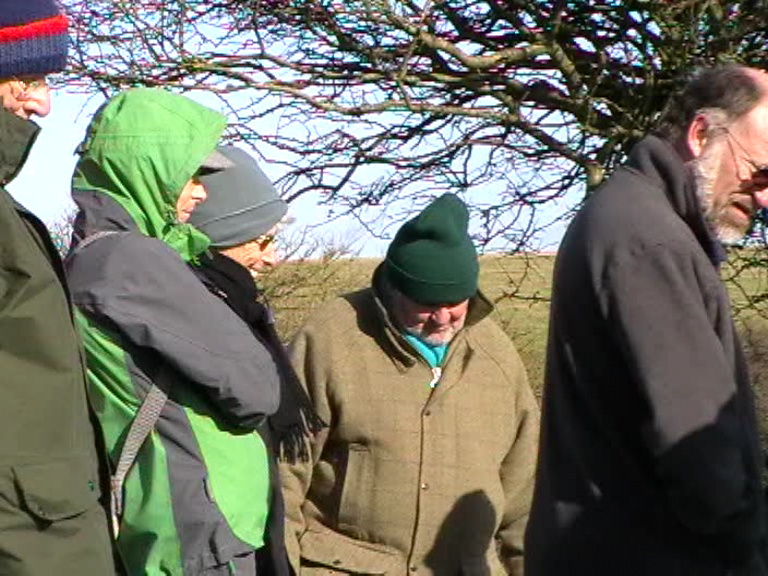 Myself & some cold attendees, guided tour 3/11/13. 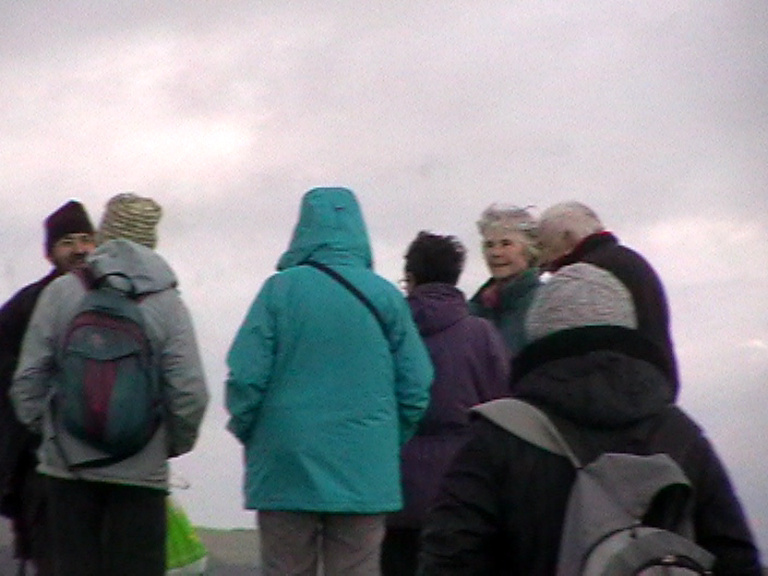 Some very well dressed guided tour attendees looking at some archaeology, 3/11/13. In total 24 people turned out for the site tours. Though the weather was somewhat blustery, luckily it stayed dry for both Saturday and Sunday. For those who couldn’t make it – or who want to revisit – we are happy to show people around on dig days. We will continue this dig until frosts are forecast, when we will have to backfill all the excavated structures – sometime before Christmas.